Personal address markers. The name sounds pretty mundane, but once you turn off Highway 21 onto Country Club Road, you start seeing address plates that are anything but mundane. A horse-drawn carriage. A pineapple. A deer. A caddy wearing knee-high knickers and a cabby cap. 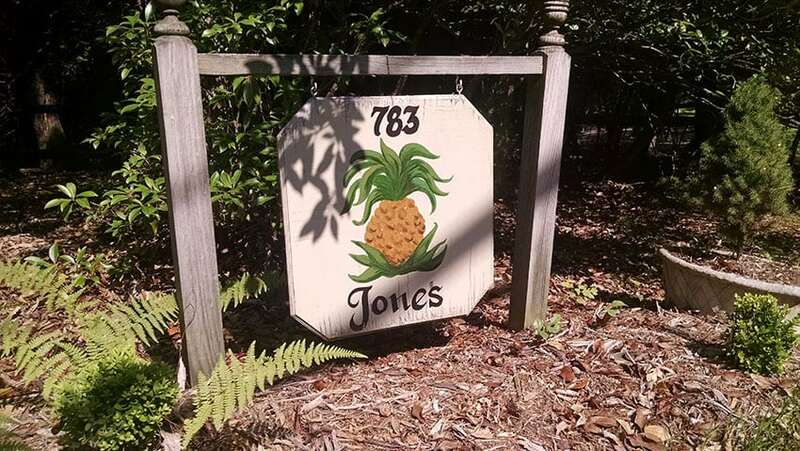 What we love is the creativity behind these address markers. When you drive through the roads of High Meadows Golf & Country Club, many times you can’t see the houses very well. 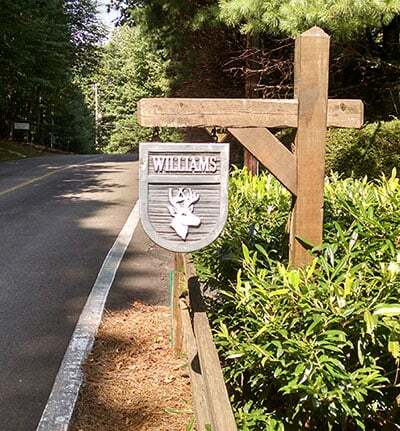 They’re set off from the road to give the owners a bit of seclusion, and in the summer and fall, when the trees are full of leaves, there’s a living privacy barrier between the road and the homes. But that doesn’t mean the drive is boring. It’s anything but, thanks to the fanciful, unique statements homeowners make at the entrance to their driveway. Here are a few things we love about the address markers. It makes the drive to the club or your home all the more interesting. They show off the uniqueness of the High Meadows community. Unlike neighborhoods with strict guidelines on types of architecture and landscape ornaments set out by homeowners associations, High Meadows allows its residents to let their personality shine through in decorating or design. As long as it’s tasteful, of course! You get a glimpse of the types of people who live here. It goes without saying that many people in our community love golf. But you’ll also find people who love history, gardening, wildlife and the great outdoors, along with many other interests. It means that not only can you have a great game of golf, but you can also enjoy a great conversation when you’re having lunch at the clubhouse or walking the dog in the evening. You can’t discount the practical nature of these address plates as well. 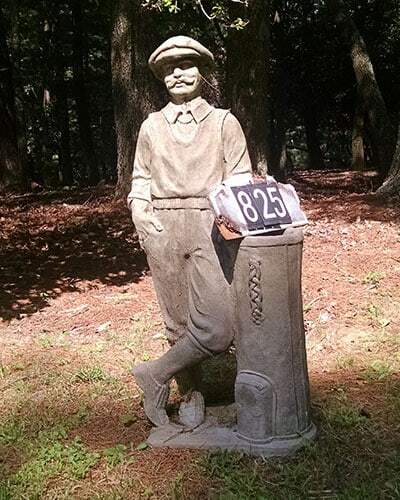 If you’ve been a visitor here, you know how helpful it can be to have these markers along the road, letting you know just where you are so you don’t have to strain to see small numbers on a mailbox. These address plates tell you a little bit about the people that make up this place, but they also tell you about the place itself. There’s a lot of history here at High Meadows. Having started as a community in the 1960s, the community has been through many different trends in architecture, from contemporary and modern to traditional. You’ll find homes that look like mountain retreats as well as the latest in modern architecture, and it’s all welcome. The embracing of different styles and tastes is apparent at first glance through these address plates. If you’re reading this and are a member at High Meadows Golf & Country Club, you already know how interesting the community is and have experienced first-hand the wonderfully different personalities. If you’ve never taken a drive through our community, now is a perfect time to visit. Come and see for yourself the wonderful address markers that welcome our visitors. And while you’re here, check out the wonderful amenities at the clubhouse and try your hand at a round of golf. Take advantage of our three-day golf getaway to see for yourself!